When you make an online purchase, many retailers will give you the option of storing your credit card information in their network. If you make frequent purchases from that particular retailer, there is no question that it's convenient not to have to re-enter those numbers every time. But how safe is your data? "There's no denying the convenience of online shopping; you don't even have to put on pants to make a purchase," said CreditCards.com senior industry analyst Matt Schulz. 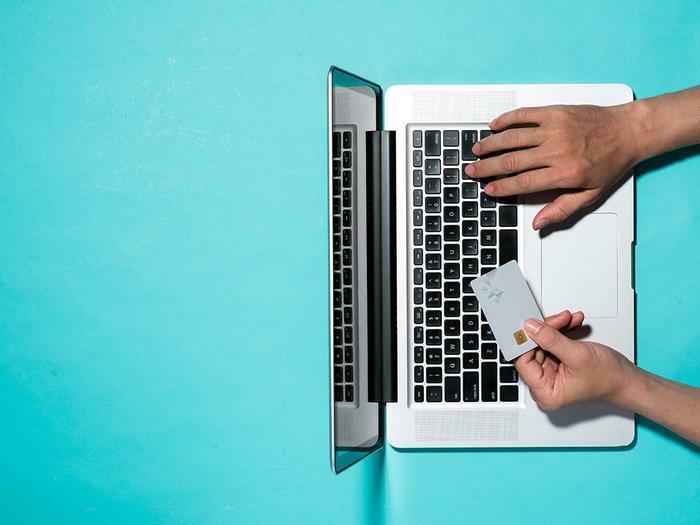 "However, saving your payment information online not only increases the likelihood of making unnecessary impulse purchases, it can also leave your data vulnerable to hackers." The experts at personal finance site Nerdwallet agree. They say you should assume that anything you store online could be vulnerable to a determined hacker. "We’ve seen countless examples of data breaches. If paperwork related to national security has found its way onto the internet, your credit card information could end up there, too.," they write. Even if you don't store your credit card data on a retailer's website, just entering it on the internet is risky enough, experts say. For example, making a credit card purchase in an airport or coffee shop with a public Wi-Fi is much less secure than making it at home on your password-protected network. The retailer's website also needs robust security. To make sure it does, check the URL of the page where you are instructed to enter your credit card information. The address in the browser should begin with "https" and not just "http." You should also see a padlock icon in the right corner. A report from Creditcards.com found 94 million U.S. consumers store their credit card information online for future use. Fourteen million say they "always" save their credit card data when given the option to do so. Older consumers, who tend to make fewer online purchases, appear to be the most inclined to save their credit card data. Gen Xers and Baby Boomers tend to be the most leery about the practice. Two out of five say they never agree to save their credit card information on a retailers website.